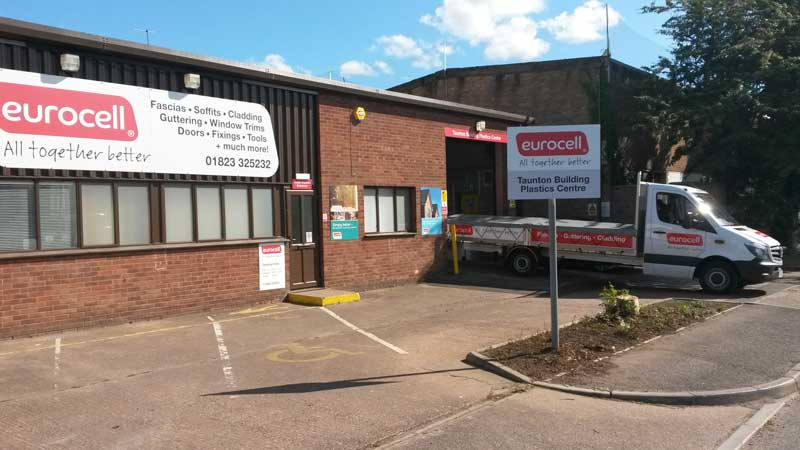 Eurocell has opened it latest new branch in Taunton, home of cider making in Somerset. With a focus on customer service and squeezing prices until the pips squeak, installers and DIY’ers are sure of a great deal at the new branch. Customers are already visiting in record numbers, with the branch in a prime location at Unit 5, Priorswood Industrial Estate, which is within minutes of Junction 25 of the M5. Opening a new branch in Taunton takes the total around the UK to over 135. Each Eurocell branch offers over 4,000 high quality building plastics products and because the company manufactures many of these at its Derbyshire headquarters, customers gain all the benefits of buying direct. This compelling proposition offers unbeatable value for money, better stock availability and more consistent quality assurance. Taunton branch incorporates a new trade counter format and product display area that showcases a comprehensive range of roof kits, alongside bi-folding doors, entrance doors and Eurocell windows, again all manufactured by Eurocell. Customers are able to browse amongst the product displays that are supported with useful point of sale material such as free homeowner brochures, step by step videos and sample swatches. Making up the 4,000-plus quality building plastics are PVC-U roofline, rainwater systems, interior skirting and cladding products, along with window finishing trims, doors, conservatories, hand and power tools. The Taunton branch offers free of charge next day delivery on all orders over £100 (ex vat). Opening times are: 08:00 – 17:00, Monday to Friday and 08:00 to 12:00 on Saturdays. Telephone the branch team on: 01823 325232 or email taunton@eurocell.co.uk. If you work in other areas of the UK and want to access the benefits of buying direct from the UK’s leading quality building plastics supplier, visit the new Eurocell website at: www.eurocell.co.uk to find you local branch.